People are going to do what people are going to do. If that means one night, people go see art in strange places at, say, 3:12 AM, then so be it. For one such night, people will be able to go see works of art and installations around London in public and private spaces, including in a spooky, abandoned platform that’s no longer in use. Art Night will launch in July and invites people all over to come see art at a dark hour of their choosing. Though the official goings-on won’t happen until later this summer, Art Night did launch this weekend at a house near the Strand that belonged to Samuel Johnson. Plenty of art exhibits will go up for display all over down, including installations, film and dance, and a large exercise class held by Chinese artist Xu Zhen at the Somerset House. This all comes to fruition barely a month before the tube offers an all-night service, making it easier for people to get where they’re going anytime. Art Night promises at least 10 projects at some incredible venues, including 190 Strand, which is in the process of being converted into very expensive apartments, expecting to sell for between 1.5 and 9.5 million pounds. Art will also be shown at the Admiralty Arch, of John Prescott fame, which will soon be made into a hotel. The aforementioned abandoned tube station, the platform at Charing Cross underground station, will hold art from South Korean artist Koo Jeong-a as part of a joint commission with Art on the Underground. 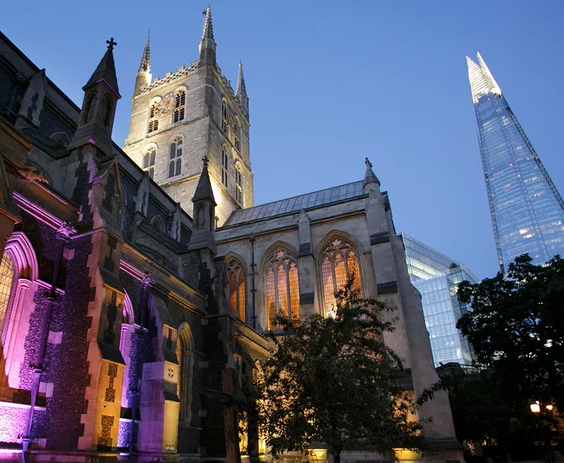 Jazz pianist Jason Moran and artist Joan Jonas will display their works at Southwark Cathedral. All art events will be free, but indoor events will require tickets to help stave off long lines and presumably the chaos of the witching hour. Other cities that have created similar art nights have suffered long waits and crowds, and hopefully they will learn from London’s version.